My dream of opening an early childhood school has finally come true thanks to my family and close friends. My journey as an Early childhood educator began 17 years ago, when I accepted my first teaching position.The past 8 years I have spent in the position of Director. I am excited to be partnering with two amazing women and continuing our journey together. I am looking forward to being here for you and your child. As Director of Tiny Explorers, my door is always open to you. I am the Mom of three children, so I know being a parent is the toughest and most important job you will ever have. Please let me know what I can do! My favorite part of teaching this age is watching the excitement of discovery and seeing the smiles and pride of accomplishments. I believe that every single aspect of early childhood is a learning experience. I am dedicated to fostering a positive learning environment for each child. I’ve been working with small children ever since my days as a nanny in Singapore in the 1990’s. Since moving to the United States fifteen years ago, I’ve had the opportunity to work at three outstanding early childhood centers – Chestnut Nursery School under the direction of Chuck Demers, Temple Emmanuel under Phyllis Spool, and most recently at Saint Spyridon Preschool with Jenn Ward. 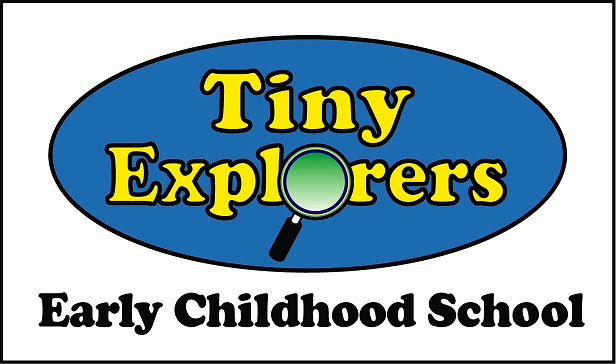 Now I am launching the next exciting phase of my career partnering with Jenn and Lisa here at Tiny Explorers. My favorite thing about teaching is getting to know every child and their families, to see them learn and grow and make friends. It is rewarding for me to see them making progress every day. I would just like to say how fortunate and delighted I am to have the opportunity to join the wonderful family at Tiny Explorers! I started my teaching career a little over fifteen years ago and the years have flown by but my passion remains the same! I would have to say my “ah ha” moment was when my son entered preschool; I was a stay-at-home mom and had the opportunity to be involved with his teachers and his early learning years by volunteering in his classroom. I realized during the two years my son was enrolled that I really enjoyed this wonderful time in a child’s life, and I was eager to educate myself so that I could continue this important work. Over the years I have experienced many joys and rewards as a result of working with young children that in my eyes are not measurable, but I can tell you that the sense of fulfillment I get when I plant a tiny seed to take root and begin to expand in meaning in a child’s mind is such a wonderful feeling. I am proud of what I do because in some small way I feel I have paved the way for a child to become stronger and more confident. Children are the future and I have a strong belief in that statement, and an understanding of the “importance” of developing the whole child. I am very excited and looking forward to my future at Tiny Explorers and working with a wonderful group of women in a safe, supportive, nurturing, healthy environment, that focuses on the whole child and encourages the children to wonder, explore and soar! Teaching and early education is very rewarding for me. At this age, I believe children learn best through concrete experiences. I feel children need a caring and trusting environment to learn in, so they may become successful. Building confidence in each child is very important so they can reach their full potential. My favorite part of teaching this age is the excitement of learning. For me, it is the ” little” moments…when a child zips their jacket for the first time, or when they are able to recognize their own name! Their eyes light up and they are so proud. Watching children grow while with me, is truly one of the greatest gifts!